Boschendal, founded in 1685, is a South African wine estate located between Franschhoek and Stellenbosch in South Africa's Western Cape. This week SukasaStyle continues digging for value picks at the LCBO by picking up a bottle of The Pavillion Shiraz Cabernet Sauvignon blend (LCBO # 222299 | $11.95 (till March 1, 2015)- 750 ml). It is worth noting that our friends across the border in Quebec must pay $16.25 for the same blend (SAQ code : 10649073). Bright ruby with purple highlights; cassis, cherry and oak spice; dry, medium to full bodied; ripe black fruit flavours, with a touch of spice, soft tannin in medium length finish. Fruity on the nose and relatively closed in terms of flavour initially but after opening up there is a toasty oak palate with a light sprinkling of spice accompanying juicy tannins. We felt that the cabernet sauvignon's influence on the blend dominated in terms of balance even though it was subordinate in terms of composition. As such this was a blend best accompanied by food. Pairing: Depending on one's palate it can be a sipping wine if the fruit forward shiraz element dominates but we felt it benefited from a meat food pairing. For the 2013 vintage the the blend is: 60% Shiraz and 40% Cabernet Sauvignon. For the 2011 vintage the winery lists the breakdown as 64% Shiraz and 36% Cabernet Sauvignon. Another South African blend that is accessible to everyone without the need to venture into the Vintages section. 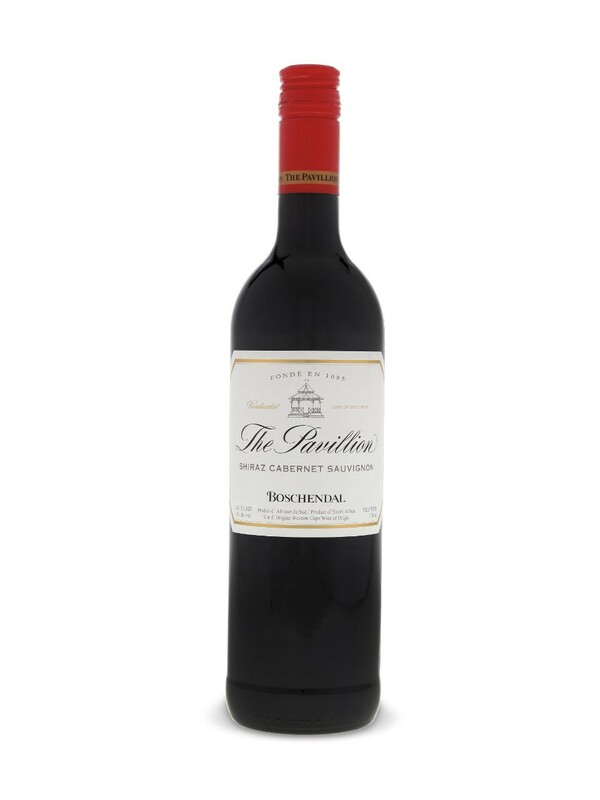 Boschendal's The Pavillion Shiraz Cabernet Sauvignon blend is a very good value, even more so at the current price point.